There are so many places to visit in Gold Country that we could talk about them endlessly. However, we realized that one of the places to visit here, is but a short drive away. Just past Indian Grinding Rock in nearby Volcano, you’ll discover a truly underground experience, near Gold Country Campground, the Black Chasm! The first documented exploration of the Black Chasm was in 1854, when explorers delved below the earth and discovered a bright blue lake with millions of sparkling crystals that twisted from the walls in all directions. In the early days the simple tours observed the antechambers of a much larger, more extensive experience. After the decline of the Gold Rush, the Black Chasm was abandoned and forgotten by all but the most dedicated scientists and explorers. Fast forward 100 years and the Black Chasm is now recognized by the federal government and in 1976 was designated as a National Natural Landmark. The must-do item for the Black Chasm is the walking tour. 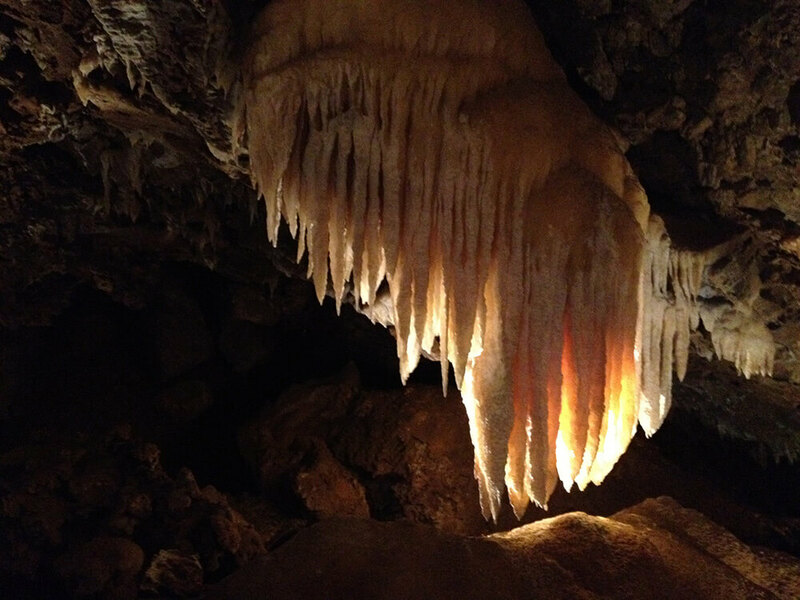 This 50-minute guided tour departs from the Black Chasm Visitor Center and descends 100 feet below the surface. No more than 25 individuals can be on the tour due to the constraints of the cave size. You’ll view three chambers of the upper levels of the vertical cave and see the beautiful blue lake in the second chamber. Other things to do include gemstone mining and gold panning. Since 1956, the Gold Country Campground Resort, near the Black Chasm, is a place for visitors to discover the rich tradition and rugged beauty of California’s Gold Country. We offer a variety of accommodations and amenities including start of the art Wi-Fi. To find out more about our other great amenities click here. You can reserve your place with us at: https://www.goldcountrycampground.com/reservations/.